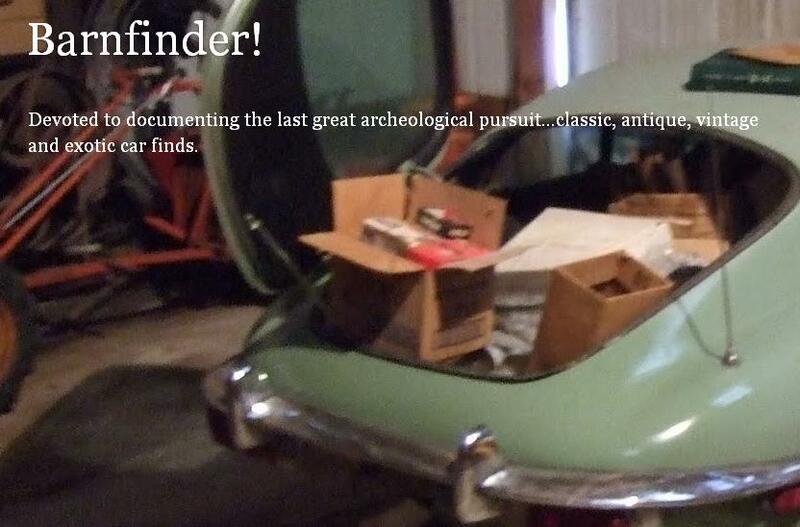 Just A Car Geek: Barnfinder! Barnfinder! is brand new (2 posts so far). The author, who goes by the moniker of "Bestbarnfinder", is a JaCG reader. "Devoted to documenting the last great archeological pursuit...classic, antique, vintage and exotic car finds", this blog has all sorts of potential. Oh,great. My morning just got even shorter. But thanks anyway! Looks good.